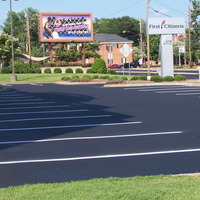 Brad Pace Construction LLC is a family based Asphalt and Concrete company with local community roots for 30 years. We started the company with customer service and quality products in mind, focusing on delivery of sand and gravel. Then we quickly expanded with a significant investment in top quality paving and grading equipment. 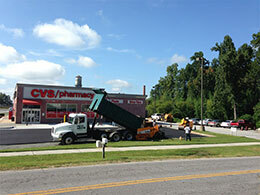 Today we offer complete turn-key paving and grading solutions on small to medium size products. 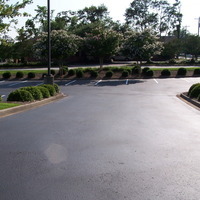 Maintaining new or older pavement is easy as we offer a complete range of services to protect your investment. 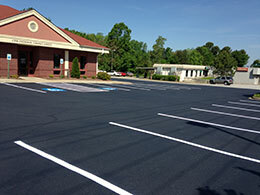 Whether your project is your home’s driveway, the parking lot of your business or a heavy duty industrial pavement, we do the job properly and professionally. Brad and Ray Pace have been paving all sorts of jobs, such as driveways, parking lots, parking pads, and small roadways for over 8 years. We can help build your job from start to finish, including grading, drainage solutions, stone base and paving. We offer free estimates on any size project. 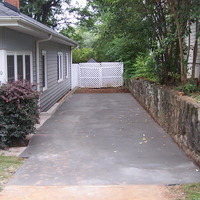 Brad Pace construction offers custom professional concrete installation and maintenance. Call today for a quote. Brad and crew did a great job on our driveway! We were driving in mud due to new home construction and Brad came out speedily and put down the gravels for our new driveway. He also finished the surface by compacting the gravels for a really smooth surface to drive on. So, not only did we get a great looking driveay, but we also got quality workmanship! Hard to find that in a company today! 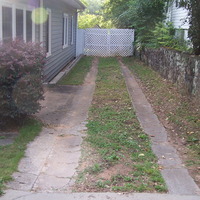 So, get a driveway that makes you feel like you are driving on a parkway! Call Brad! Brad, Thank you for doing such a nice job with cutting out and removing the damaged pavement from our parking lot. It looks great! We will definitely use you in the future. Thanks! Brad and crew. Thank you so much for educating us about paving and maintaining! 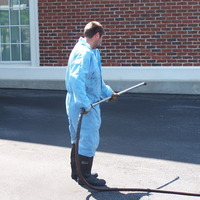 We had our first sealant after 1 year of paving and the men did a fantastic job cleaning and edging before sealing. The sealant looks great on both our paths and we will definitely be scheduling the next maintenance in 3 years!! 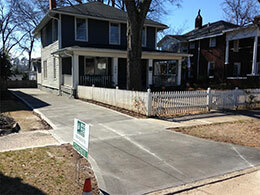 Brad and his crew did a fantastic job installing our new driveway and walkway! I would highly recommend them! Brad Pace Construction recently installed a drain in my existing driveway. The drain looks very professional and functions perfectly. I was very pleased with the service before, during, and after the sale. I would highly recommend them to anyone and plan to use them for another project in the future.